It wasn’t a phone call the head of the Union for Reform Judaism ever wanted to get. Taglit-Birthright was calling, with bad news. Founded in 1994 by two philanthropists, Wall Street money manager Michael Steinhardt and former Seagram Company chairman Charles R. Bronfman, Birthright is financed by them and other private donors, as well as by the Israeli government. More than 500,000 young people, mostly from the U.S. and Canada, have participated in the program to date. The recent phone call was to inform the Reform leader that his movement was no longer authorized as a certified trip provider for Birthright. It wasn’t, the caller explained, because Birthright had anything against “progressive” Jewish groups, but rather a simple matter of the fact that the Reform movement had failed to meet participant quotas. Although the overwhelming majority of Birthright participants come from non-Orthodox backgrounds – less than 5 percent are Orthodox Jews – Orthodox-affiliated trip providers, including the Chabad-connected group “Mayanot,” the Orthodox Union’s “Israel Free Spirit” and Aish Hatorah account for close to a quarter of total recruitment. So why have Orthodox groups emerged as so disproportionate a conduit of young non-Orthodox Jews to Birthright trips? Rick Jacobs, the president of the Union for Reform Judaism, who bemoans that fact, blames it on the Israeli government’s support for what he calls “Ultra-Orthodox campus institutions.” He also is upset that young people on Birthright trips are given the option, if they choose, to attend Orthodox services during their stay in Israel. Reform leaders are also chagrined that, although “religious indoctrination” is prohibited on Birthright trips, the Orthodox groups also often later convince Birthright alumni to, in Rick Jacobs’ words, “explore a more traditional way of Judaism.” The horror. Rather than stew over the fact that nonobservant young Jews seem to gravitate to groups dedicated to “a more traditional way of Judaism” – or, put more accurately, the authentic mesorah of Klal Yisrael – Reform leaders might stop seeking culprits for that offense and consider the fact that emes, truth, is attractive. It has helped ensure Jewish continuity by helping countless Jews connect in one or another way to their religious heritage by bringing them to Israel. But for nearly 2000 years, visiting or settling in Eretz Yisrael was not even an option for most Jews. What sustained Jewish continuity over those millennia? Precisely Rick Jacobs’ “more traditional way of Judaism” – Jewish knowledge and Jewish living. 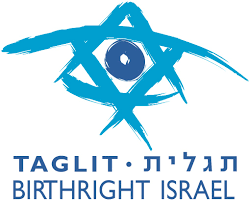 In fact, if Birthright really wanted to maximize its bang for the buck, it might consider dropping altogether its religious rejection of religion and consider a marvelous, gutsy move. Namely, amend Birthright’s existing program to maximize the Jewish impact of the gift it offers young Diaspora Jews, by providing them, say, for two or three of their ten days, an intensive Jewish learning experience in an Israeli yeshivah, seminary or outreach program catering to Jews from overseas. Yes, that would violate the effort’s heretofore commitment to “pluralism.” But it would be entirely in consonance with Birthright’s professed goal, helping ensure Jewish continuity. In fact, providing Jews who were raised distant from their religious heritage the opportunity to witness what it means to live a true Jewish life would be nothing less than, well, returning to them their birthright. This entry was posted in Israel, Jewish Thought, News, Pluralism on December 7, 2017 by Rabbi Avi Shafran.